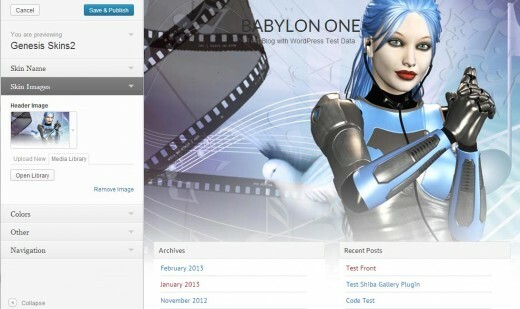 WordPress 3.4 added a great theme preview interface that allows us to easily customize theme options (colors, images, menus, and more), as well as quickly view those updates on a theme preview frame. WordPress 3.5 added a new media manager interface that is fast, easy to use, and awesome to look at. In this article, we consider how to bring those two interfaces together so that we can use images from our media library in the theme preview interface. I start by creating an image control object. For more on how to create settings and controls for the theme preview interface, refer to the WordPress Theme Customization API. I call this function from the customize_register action hook to create one or more image control objects. Image control with Media Library tab. Once I finish creating all my image control objects, I add a Media Library tab to each of them. The code below creates a Media Library tab for each image control object, with an Open Library button within it. An example image control with its Media Library tab is shown in the screenshot to the right. // for selecting theme images. Lines 9 to 17 – Create our media manager menu. This article goes into greater detail on the various wp.media options. Line 20 – Tie the click event for our media manager menu to our ‘Open Library’ button created in the previous step. Note that choose-from-library-link is the same class that was used to encapsulate the ‘Open Library’ button(s) in step 2. Line 23 – Prevent other actions from being tied to our Open Library button. Line 25 – Open the media manager menu. To enable the media library menu, I need to add the script above as well as other media manager relevant scripts. I put the script above into a file, e.g. shiba-media-manager.js, and include it using the wp_enqueue_script function. With great anticipation, I include all the code above, then click on my ‘Open Library’ button … Nothing Happens!! After some digging, it turns out that the menu is actually showing, it is just coming up below our page preview frame. To have the media manager menu show properly, we need to move the z-index value of our media manager menu up, or the z-index value of our page preview frame down. In the code below, I do the latter. 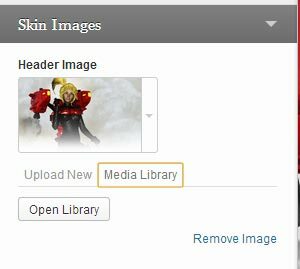 Now, when we click on the ‘Open Library’ button, the media manager menu appears! I add the code below into my shiba-media-manager.js file, right above the click event function. // Grab the selected attachment. Line 4 – Get the image we selected in the media manager menu. Line 5 – Get the image control name that triggered the selection (e.g. shiba_header_image). Line 8 to 9 – Update the image control object with the image url we selected from the media manager menu. Success! 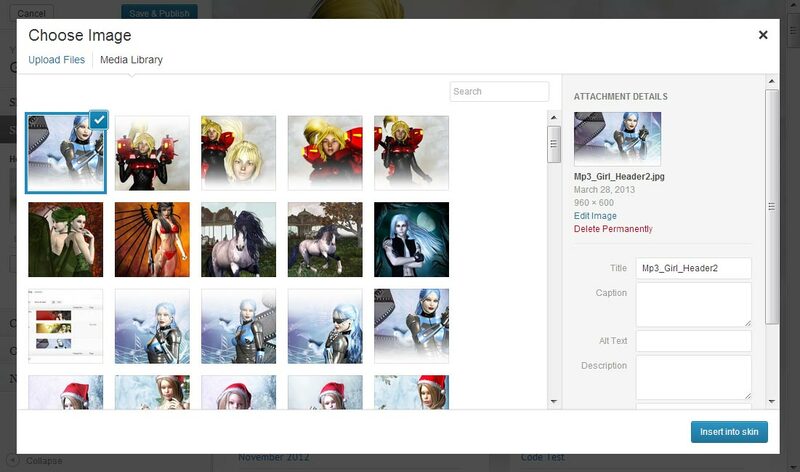 Now when we select an image in the media manager menu, it updates the image control object and associated setting. Hi, first i want to say thankyou for this great article. And i see the controllerName is empty, can you guide me a little. Hello, i am trying to make it working but i get error. can you tell me what i need to change to make it work with my theme. Sounds like there may be a missing file, some core file that needs to be included. I use the code in my Genesis Skins and Shiba Skins themes, both of which run on 3.5. Feel free to have a look at the source. Shiba Skins is probably easier to look at since it is built on top of TwentyTwelve. Hi you need the media templates 🙂 ! Man you saved my day! wp_print_media_templates was required indeed.